After breakfast proceed for the sightseeing of Leh. You will visit all the important attractions of the city including Leh Palace, Shanti Stupa, Victory Tower Shey Palace, Thiksey Monastery, Hemis Monastery, Stok Palace Museum and Namgyal Tsemo Gompa. Later return back to the hotel for dinner and overnight stay. Have your delicious breakfast at the hotel. Later drive to Lamayuru Monastery. After exploring this important monastery proceed to Uleytokpo. Our representative will organize camp stay for you. Dinner and overnight stay will be at the camp. Morning is at leisure. Enjoy the breakfast at the camp. Later check-out form camp and drive back to Leh. En route you will visit Alchi Monastery, beautiful views of Indus and Zanskar Rivers meeting points, Kali Mata Temple and Magnetic Point. On arrival, check-in into the hotel. Dinner and overnight will be at the hotel. Have your delicious breakfast at the hotel. Later drive to Pangong Lake. 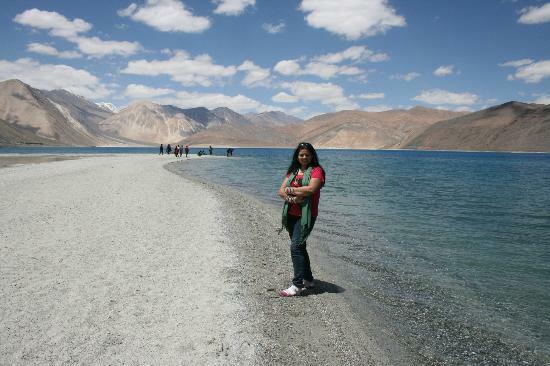 Enjoy the full day in beautiful surroundings of Leh. At evening return back to the hotel. Dinner and overnight will be at the Leh. This is the whole day is at leisure. Enjoy your independent activities. You can take rest at hotel. At evening you can go for shopping at Leh local market. Dinner and over night will be at the hotel. Have your delicious breakfast and check-out form hotel. Drive to Nubra Valley. En route you will cross Khardung La Pass, the highest vehicle transportation path around the world. Enjoy the sightseeing of Sumoor area and Samstaling Gompa. At evening, India Leh Ladakh Tour representative will organize camp for you. Dinner and overnight will be at the camp. Have your delicious breakfast at the camp. Explore the beautiful surroundings of Nubra Valley. You will visit popular Deskit and Hundar monasteries. You can also enjoy camel safaris and sightseeing of sand dune sights. Later return back to Leh. Check-in into the hotel. Dinner and overnight will be at the hotel. Have your delicious breakfast at the hotel. This is the last day of your trip. Pack your luggage. Have some rest. Later India Leh Ladakh Tour representative will transfer you to Leh Airport for onward journey.